New updates for 2018! Purchase our Travel Itinerary-Trip Planner, based on our more than 30 years of first-hand experiences. Complete, up to date, in-depth, extensively researched – all in one package! Customized and prepackaged plans available. 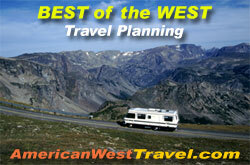 Ideal for road trips or any travel in the American West. Free Consultation – Call (480) 270-4349 today. The elephant seal is the largest of all pinnipeds, with the largest males reaching 5,000 pounds. In the autumn and winter the Piedras Blancas Rookery teems with thousands of these incredible creatures, making it one of the world’s finest wildlife viewing locales. It is also an easy roadside stop with parking along the Pacific Coast Highway. Our American West Roadside Stop Series is back online. 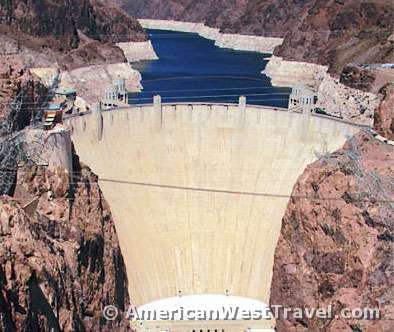 It features attractions on the side of the road or close by which require only a quick visit to enjoy. New sites will be added regularly. Return to the Grand Canyon! UPDATED Our Yellowstone National Park and Grand Teton National Park Travel Guides have been substantially revised and updated. Find up-to-date information on various outdoor activities and where to make reservations for lodging or find camping in and around these popular parks. Our September trip featured hiking the backcountry of Glacier National Park with some of the most fantastic scenes in the American West. Our long-time friend and collaborator, Ken Johnson, passed away suddenly at the age of 69. After a long military then professional career, Ken retired to Las Vegas and developed an amazing passion for rock art. He spent his final years traveling the most remote highways and byways of the Southwest seeking out and documenting rock art sites. He showcased his excellent rock art photography (his photo, left) at Vegastraces.com which covered the Mojave Desert region. Two years ago, he moved to Kanab, Utah and began documenting rock art of the Colorado Plateau with plans for a new website, Kanabtraces. Sadly, he passed just as we were starting this project. We hope to eventually complete it for him. Rest in peace, Ken Johnson. America’s most beloved highway. This is a diverse multi-part story with many great photos! Become a superstar photographers for a day by visiting Upper and Lower Antelope Canyon, exquisite “slot canyons”, abounding with fantastic and easily accessible photo opportunities. You need to get lucky to visit the magnificent Wave in Coyote Buttes North of the Vermilion Cliffs Wilderness, one of the world’s most well-known and surreal landscapes. The companion site to the more famous Wave, the adjacent Coyote Buttes South features an exciting drive on remote roads and at-large exploration of an untrailed wilderness. Nevada’s Valley of Fire preserves a starkly beautiful section of the Mojave Desert noted for its brilliant red sandstone formations and spectacular sunsets. Our classic feature describing our most exciting adventure has been updated and revised. This popular tour features three of the most famous combat aircraft from World War II, all of them flyable. Spectacular Anasazi Cliff Dwellings and Rock Art. It is still possible to capture the romanticism and adventure of visiting Rainbow Bridge by hiking overland, following the footsteps of the early adventurers. A visit to the world’s first “ground zero”. Considered by many to be the most beautiful and photogenic slot canyon in the world. 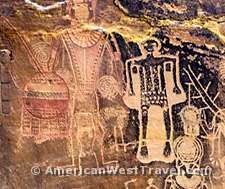 Navajo National Monument in northern Arizona offers guided tours of two outstanding cliff dwellings dating to the 13th century, Betatakin and Keet Seel. Read my recently discovered journal which describes both tours in complete detail.